When you manage to find a guy who takes care of his great grandfathers’ old recipe made out from Amalfi lemons that tastes like heaven, you get excited. Thank you Cesco Amodio for continuing this traditionand also for letting us get a piece of it! 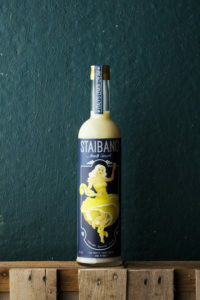 The story of Staibano Amalfi Smooth dates back to 1932 and is a creation of Don Vincenzo Staibano. 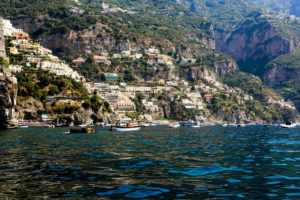 It all started with his lemon groves, located on cliff-side terraces at the Amalfi coast. The harvest, still to this day, is done by hand and carried down the mountain in 70 kilo bags. 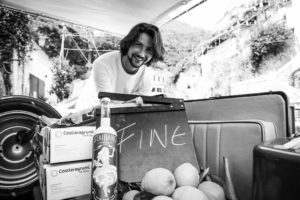 Staibano Limoncello is the newest project for Cesco, the first bottling took place spring 2017. This limoncello recipe is the same base that is being used for Staibano Amalfi Smooth. All the lemons used in Staibano is picked from the same place and the trees has been in their family for generations. No pesticides have ever reached the ground and the lemons are origin protected under Amalfi lemons I.G.P. They are called ’the queen of lemons’ referring to their intense fragrance and balance of acidity and sweetness. 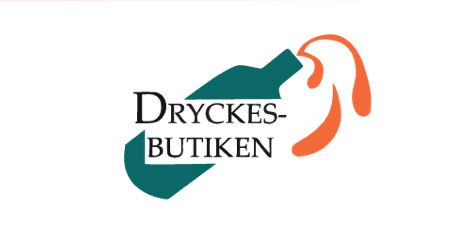 Everything is done by hand, from the peeling of the lemons to the labelling of the bottle. Since 2015 Don Vincenzos great grandson, Cesco Amodio has been in charge of both production and sales. A mix between neutral alcohol, lemon peels, sugar and pasteurized milk. Because of the heating of the milk, this liqueur doesn’t curdle when mixed with fresh lemon juice. It can therefore easily be enjoyed both in drinks and on its own. This is how we drink Staibano! A mix between neutral alcohol, lemon peels and sugar.